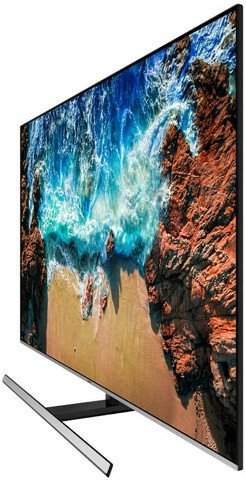 Samsung NU8000 4K smart television has 55-inch size flat type screen, 3840 x 2160 display resolution, edge-lit LED, 2.1 Channel speaker, Wi-Fi and bluetooth connectivity, digital clean view, Bixby, quad-core processor, HDR plus, TV tuner, remote control. This product samsung nu8000 television comes with 5 years service warranty without parts . Visit showroom or call to buy the samsung nu8000 television from Dhaka, Bangladesh.